It is official and I'm proud to say that AllStays.com went solar a few weeks ago. I waited a little while before making this post so I can say how it is working. It is great. 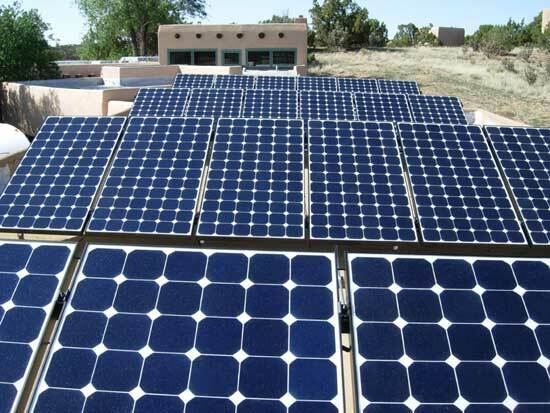 The 5000 watt system has consistently produced over 30 kwh (kilowatt hours) per day since installation in Santa Fe. It has produced at least half that amount even on cloudy and rainy days. In three weeks time, it has produced double the amount of power that the office actually uses. I designed the system so it would over produce in a few summer months and then even out the rest of the year. I have had a green hotels feature on this site for years, long before it was trendy, popular or hip. As owner of AllStays, I don't just talk it up like it's a gimmick. I have conserved power in every way that I could for many years and this was the next obvious step. 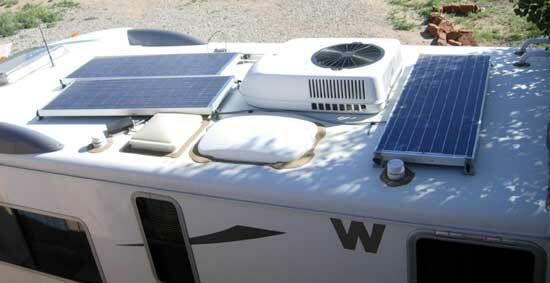 I immediately installed solar power onto my AllStays RV as well. I have not used a generator or lacked power while traveling on research since installation in early 2007. Now is a great time to go with solar power. Now is a great time to watch your electric meter run backwards. 2009 introduced some 30% tax credits along with a few great state credits (totalling 40% in New Mexico for example) make it finally worthwhile. In fact, if you calculate the return on producing cleaner power and retail rate of electricity that the electric company may pay you, the investment will do much better than bank interest rates these days. Four times better at the time of my installation. Keep an eye out (and ask your representatives) for new incentives such as zero or low interest loans or deals to put it into your property taxes. Now is the time.